The Payments Received report is accessed from the Report menu with a search form used to filter by search criteria. 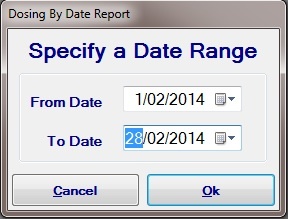 The records are searched by selecting all date criteria. Enter the required dates and click OK.
All patients, where a payment transaction occurred, will be displayed.